Radhika Recommends: Fashion meets Diet Coke! 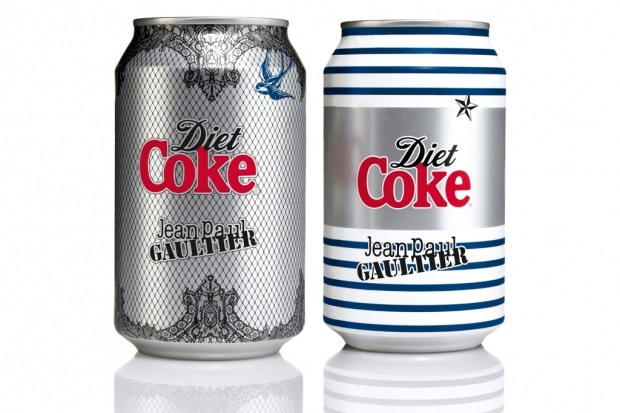 During the commercial breaks whilst watching The X Factor last night, my eye was caught by the new Diet Coke campaign showing the latest designs by Jean Paul Gaultier. Promoted through TV ads, the two designs pictured above are the famous 'tattoo' and 'night and day' designs which are to promote the 'Love it Light' campaign by Diet Coke. As well as being promoted through TV commercials, there will also be digital marketing activity as well as print ads. The limited editions cans and bottles will be available in October. The campaign is a great way to bring both brands together and target an audience that loves both fashion and the well loved Diet Coke brand. I will certainly be purchasing one of the limited edition cans when they are released!